By enticing one major foreign investment, we would solve the problem of unemployment completely and help retain young people in the villages. 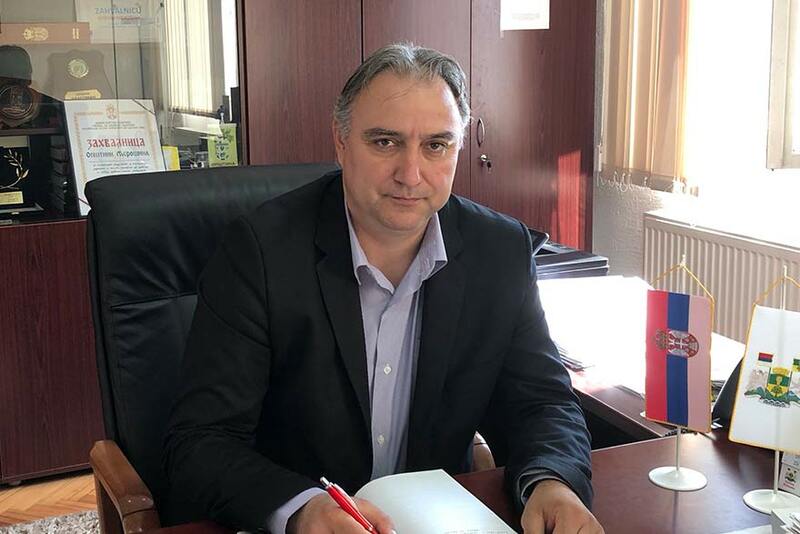 Restoring the operations of cold storage units would resolve the problems of cultivators of sour cherries and their placement on the market,” says Merošina municipal president Saša Jovanović. What is your current priority when it comes to roads, water and sewage networks, and the renovation and construction of facilities? – Our priority is the reconstruction of another 20 kilometres of asphalt roads through our settlements. Over the past few years we’ve already reconstructed 37 kilometres, so with this we would roundoff the entire process. Technical documentation has been completed and we are now awaiting assistance on realisation, primarily financial assistance from the relevant ministries. When it comes to the water supply, the priority is to expand water intake capacities and revitalise the Krajkovac Lake project, the implementation of which would fully meet the drinking water needs of the population and industry. Another priority is the construction of a container-style collector for the treatment of wastewater, with that investment valued at about 50 million dinars, and we are already in negotiations with the Ministry of Environmental Protection. The construction of a secondary sewage network in the settlement of Balajnac is currently underway, which would prevent the further polluting of rivers and drinking water sources on the territories of the villages of the South Morava Basin. Moreover, this June will see the launch of the reconstruction of the primary school in this settlement, which is the fourth school building that we are reconstructing – all that remains is the reconstruction of the central home school in the settlement of Merošina, which we intend to do in the period ahead. Your municipality is among the country’s top producers of cherries. Is that your greatest potential? How can you revive the economy; how can you employ the people? – The sour cherry has become a brand and certainly represents the basic economic potential of our municipality. By restoring the operations of cold storage units we would resolve the many problems of growers – who’ve been struggling for years with the low price of sour cherries – and their placement on the market. Some of the factories in Niš, Prokuplje and Malošište that have opened thanks to the Government and President Vučić have already yielded results and halved the number of unemployed citizens. Just one major investment in the municipality of Merošina would help keep young people in the villages, improve the standard of living and secure a certain future for citizens. We would like foreigners to invest precisely in the “Voćar” cold storage facility, because in that way they would help cherry producers and employ a large number of workers in fruit processing and (why not?) in the production of finished products made from cherries.